TRIBUTE: The life and music of Al “Shival” Redwine will be honored June 21 at Sea Pines during a musical memorial. Al “Shival” Redwine was one of the most effusive human beings I’ve ever met. Every time I saw him he was smiling, happy, and upbeat. I’m sure he had his down times, but I never saw them. He was also an amazing musician who could play rootsy reggae and Santana-like rock with equal expertise. On May 26, Shival died of lung cancer. Shival was born and raised in San Francisco and began playing guitar professionally by age 17. His skills eventually earned him a place in Cobra, an offshoot of the original Santana band that featured Santana percussionists José “Chepito” Areas and Michael Carabello. He then toured through the West Coast and Hawaii with them before recording an album with the group at the 1975 Diamond Head Crater Music Festival. In 1985, while living in Hawaii, he met Nigerian drummer and Grammy Award-winner Babatunde Olatunji, who caught Shival’s act at a night club and was impressed enough to ask him to record with him on his next album, which was produced by Grateful Dead drummer Mickey Hart, Carlos Santana, and Brazilian percussionist Airto Moreira. Called Dance to the Beat of My Drum, the album remains in print. 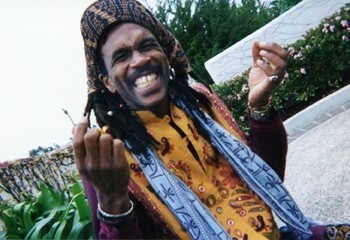 Eventually Shival returned to California, where he and Olatunji continued to work together in L.A. while Shival also moonlighted with several rock and reggae acts. He was part of The Roughneck Posse, which won Best Reggae Band at the San Diego Music Awards, and by 1991—the year I started working for New Times—he’d moved to the Central Coast, forming his own band, The Shival Experience, three years later. For the past two decades Shival has been a staple of the Central Coast music scene. He’ll be missed by all who knew him. I’ll always remember his infectious smile. Safe travels, Shival! 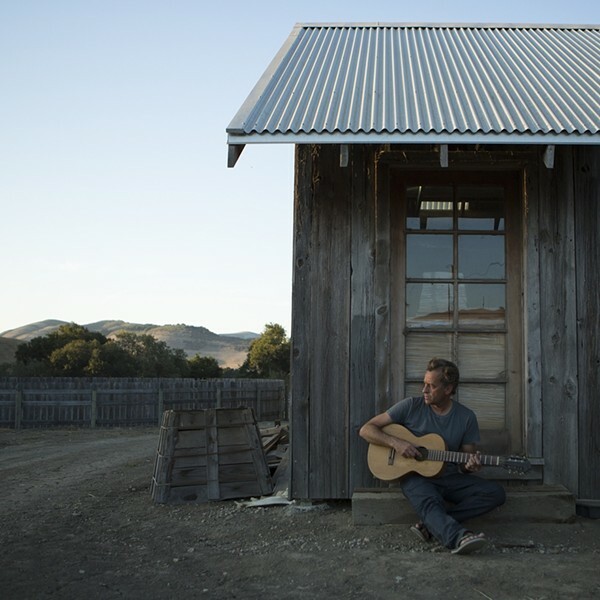 RIDING THE PIER: Three-time world champion surfer Tom Curren will reveal his musical side when he headlines a Cayucos Pier benefit concert on June 21. Last November, folks who love Cayucos and its beleaguered and damaged pier got together and threw one hell of a great party on Cayucos’ beach and Front Street to raise money to repair the iconic pier. The event featured musical performances by Matt Costa, Cayucas, The Monroe, and more. Well, now it’s time for round two, and this time it’s happening during the Summer Solstice—this Saturday, June 21, running from 11 a.m. to 6 p.m. (There’s also an 8 a.m. paddle around the pier. Visit concertsforcayucos.com to register). “SLO Brew and Liberty School Wines are proud to present The Cayucos Pier Benefit Concert and Festivities II,” organizers said on their website. “This event will be a sequel to the very successful event hosted Nov. 16, 2013. Through the support of many local, business, civic groups, and residents, the previous event raised $40,000 for The Pier Project through its Friday and Saturday events. Bring the family and enjoy an eclectic day of free musical entertainment on the pier and beach. The headliner is surf legend Tom Curren, and the event also will include performances by The Tumbleweed Wanderers, The Julian Temple Band, Proxima Parada, Joe Koenig, Shane Stoneman, The Bucket Busters, and more. Front Street will host a variety of vendors, including a beer and wine garden, and a variety of food, beverage, and arts concessionaires. Proceeds will be donated to the pier reconstruction effort and needed Front Street repairs. After turning pro, Tom Curren—a Santa Barbara native—quickly established himself as a fierce competitor and talented big-wave rider. During his first ASP World Tour in 1983, he was beating guys like Rabbit Bartholomew, Shaun Tomson, and Cheyne Horan. In 1985, he won his first world title, repeating it again in 1986 and 1990, winning a total of 33 championship events in his professional career. Only Kelly Slater has won more. Curren’s been a musician since he was 15 years old, playing drums, bass, and guitar. He started touring with his band Skipping Urchins in 1993 on a 27-stop U.S. tour that conveniently hit a lot of cities with great surf. Go figure. Notoriously reticent and private, Curren reveals himself in his musical performances, which can vacillate from breezy and jangly Cali folk rock to thoughtful and emotionally raw blues. Sounds like a great way to usher in the summer! 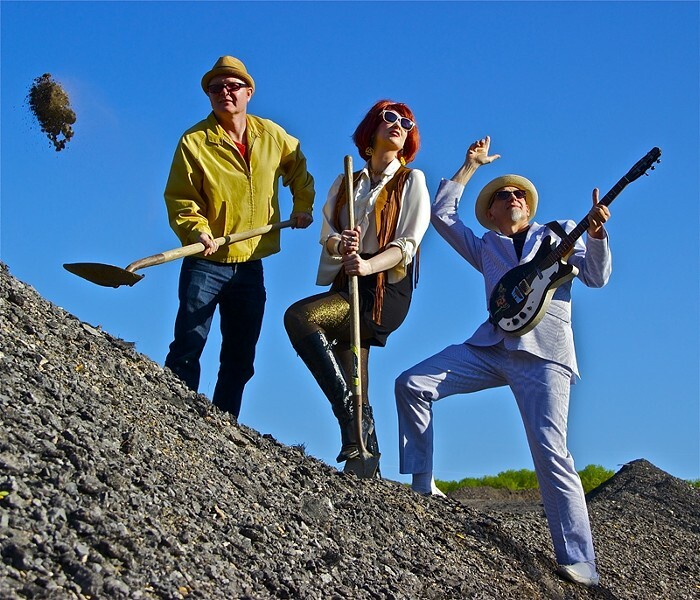 GREAT SCOTS: Celebrating trailer-trash lifestyle, Southern Culture on the Skids plays SLO Brew on June 22. I’m listening to Jimbo Mathus & The Tri-State Coalition, whose album Dark Night of the Soul is drenched in raw emotion. On the opening title track, Jimbo’s voice releases its fury, making me forget he was once a Squirrel Nut Zipper. On this ninth studio album, he’s delivering pure neo-Southern rock and blues on an album that developed over a year of recording at Fat Possum Records chief Bruce Watson’s Dial Back Sound Studio near Jimbo’s Mississippi home. This is Jimbo’s second Fat Possum release, following White Buffalo. Jimbo dropped by the studio every couple of weeks and worked on song ideas with engineer/instrumentalist Bronson Tew. Forty songs later, label owner Watson had heard them all. The low-pressure studio environment helped Jimbo find his groove, and Watson challenged him to bring in new ideas every time he came. Watson gravitated to the darker songs: the ones, Jimbo confided, he would typically keep private. It’s a great record, and you can hear Jimbo Mathus deliver the goods live on Sunday, June 22, at SLO Brew, when he opens for Southern Culture on the Skids (6:30 p.m.; 21-and-older; $13 presale or $15 at the door). SCOTS is such a great band to see live! The countrified jokesters keep their tongues firmly planted in their cheeks as they sing about the joys of the trailer-trash lifestyle. I’m not sure if they still have it on their rider, but they used to demand a bucket of fried chicken, which they inevitably threw out at their audience. Good times! 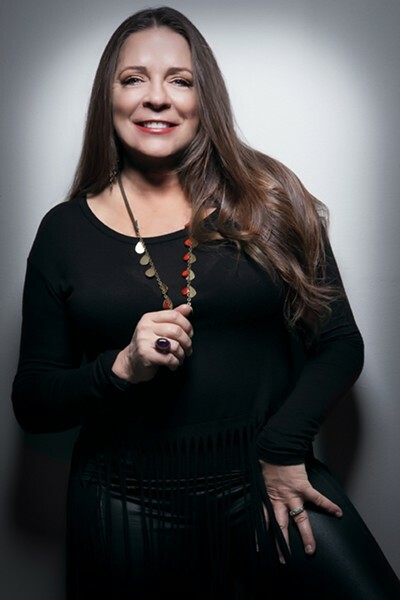 CARTER FAMILY LEGACY: Carlene Carter keeps the music of the Carter Family alive on her new album and at SLO Brew on June 20. The other not-to-miss show at SLO Brew this week is Carlene Carter on Friday, June 20 (7 p.m.; 21-and-older; $15 presale or $17 at the door). Her new album, Carter Girl, is helping to revive The Carter Family legacy by covering some of their classic material. The daughter of country music legends June Carter Cash and Carl Smith, and granddaughter of “Mother” Maybelle Carter of the original historic Carter Family, Carlene says it’s been her lifelong goal to make this record. Check out slobrewingco.com for the rest of their shows his week. SLOfolks first outdoor concert of the season features the amazing all female quartet Blame Sally, on Saturday, June 21, at Castoro Cellars (7 p.m.; all ages; $22; call 238-0725). Don’t forget to enter the New Times Music Awards! Each song or album entry costs $10. Enter online by following the link, or fill out the entry form located on page 9 of this issue and drop off or mail your submission to our offices at 1010 Marsh Street. First place winners must be available to play Thursday, Aug. 28, at SLO Brew. Submission deadline is Monday, July 7, at 5 p.m.